Fast evolving payments space in e-commerce business had droved eBay Inc to spin off PayPal next year. It seemed to be the time for eBay to focus on online shopping business as their rival Amazon is getting ahead of them. According to investopedia, a spin off is to make an independent company from a parent company. A company hoping to have a streamline sells an unrelated or lesser subsidiary business as a spin-off. 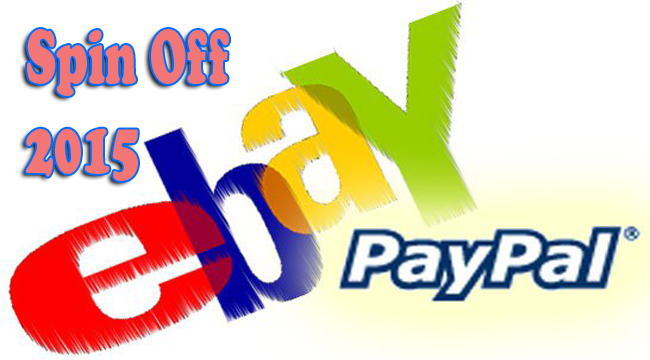 Last Tuesday, September 30, eBay announced that they would sell out PayPal to be a separate company. The decision is deemed necessary for both of the companies to operate more efficiently. EBay hopes to be able to focus without the distraction od a very different business. Some say that the news of the split into two companies would give higher expectations on eBay now that it could concentrate on e-commerce business. In the 19 years of eBay, they had gained some hardships in the past few years up against Amazon. As believed by Colin Sebastian, the spin off is a strategy that makes sense. It makes the split business more competitive and aggressive in the fast changing markets. The spin off also had been called for previous years by Carl Icahn, one of the influential investor and has 0.82 percent of shares in eBay. Now that he got what he wanted, it would also add up more focus for the parent company. Icahn expressed that he is happy with the spin off and said that it is a natural decision.